Let us know the details of your Special Event, date, time and location. 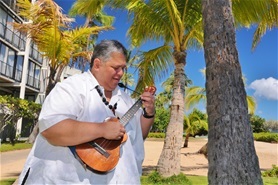 Musician rates for beach wedding music are $175.00 for Honolulu, or $275.00 for Ko Olina and North Shore areas. Request a quote for Wedding receptions or party entertainment.